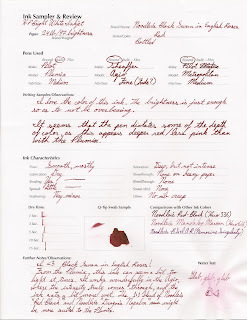 Built from Ink and Tea: Stained Fingers on Thursday - Noodler's Black Swan in English Roses Ink - Re-uploaded! Stained Fingers on Thursday - Noodler's Black Swan in English Roses Ink - Re-uploaded! I tried this beautiful ink in my Pilot Metropolitan...and I still love it! The Metropolitan writes wet enough that the ink is a rich color with good character. 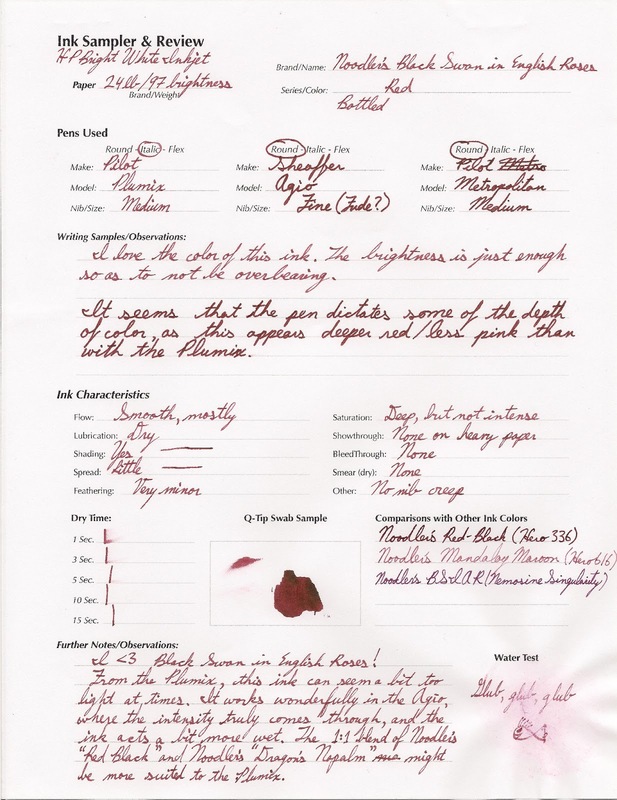 Here, I have re-uploaded the sample to show the Metropolitan's writing. Enjoy!